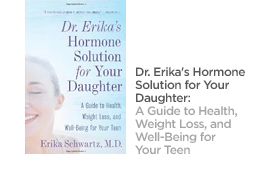 Dr Erika Schwartz, MD. 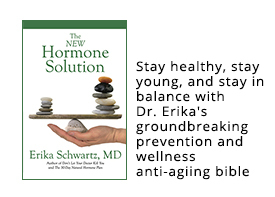 : Exercise is one of the most important actions you can take right now to Balance your Hormones for Life! If there was just one tip I would give women who are feeling tired and weak it would be to get moving! Our sedentary lifestyle has sucked us into a very bad place indeed. When you are inactive you lose all motivation. And without motivation you sink deeper into the void. Without a doubt movement is imperative if you want to begin feeling better. I'm not saying you have to join a gym. I'm not even saying you have to start running tomorrow. What I am saying is you have to get up and start moving. Right now even. Turn off this thing in front of you and go take a walk. Even a 5 minute walk to the end of your sidewalk is better than shutting down for the evening and watching your favorite star dance themselves to health. 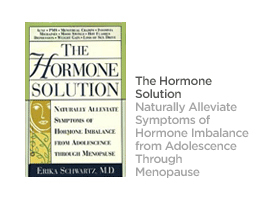 Take my Free Hormone Quiz and start connecting the dots of how you are feeling and the role balanced hormones play in your life. 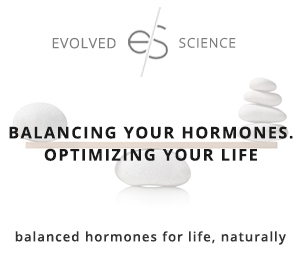 Balancing your hormones begins with treating your body with the respect and love it deserves. And when I say love I don't mean treating yourself to a manicure or a spa treatment, I mean nourishing it with good living food, giving it fresh air, taking it for a walk and setting the chemical changes in motion. 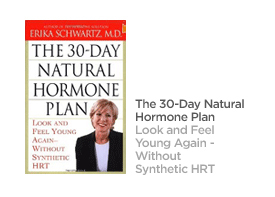 Once you understand that everything you do and everything you put in your mouth affects your hormones in one way or another. And the best way to start feeling better is to start moving!